Eric Motley, a beloved Samford University alumnus, will be the featured speaker at the eighth annual Tom and Marla Corts Distinguished Author Series March 1. The series is presented by Samford University’s Orlean Beeson School of Education. A 1996 Samford graduate, Motley will speak at 7 p.m. in Leslie S. Wright Fine Arts Center. The lecture’s focus will be on Motley’s personal memoirMadison Park: A Place of Hope, set to release November 2017. Motley currently serves as an executive vice president at the Aspen Institute and previously served as a special assistant to President George W. Bush. 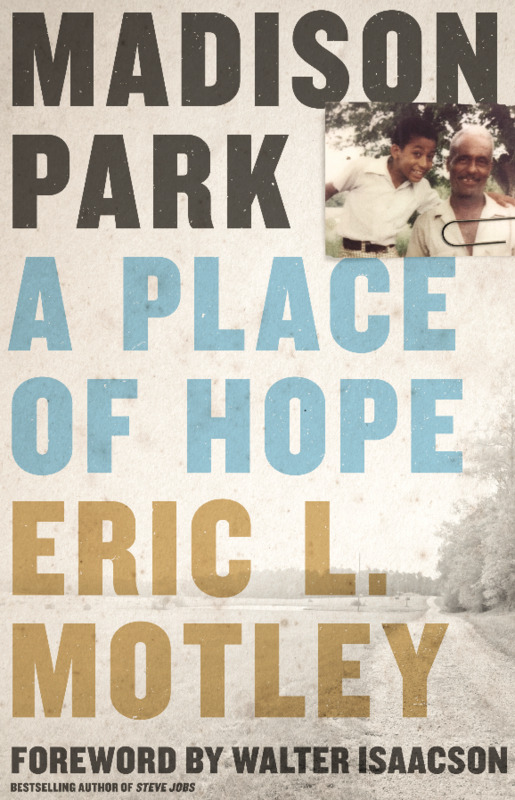 In Madison Park: A Place of Hope, Motley discusses his upbringing in the Madison Park community of Montgomery, Alabama, and the amazing power of gratitude, generosity, grace, and faith in God and each other. He credits the lessons he learned in Madison Park to teaching him everything he needed for his journey to the Oval Office. Motley is looking forward to returning to campus. While attending Samford, Motley studied political science and philosophy, was a member of Sigma Chi fraternity and Omicron Delta Kappa honor society, and served as Student Government Association president and a Student Ambassador. He also was elected Homecoming King. In addition to his scholastic achievements, Motley developed a close relationship with the late Thomas Corts, Samford’s 17th president, and his family. An established friendship that would live on well after Motley’s graduation day. “I return to campus with many memories and always an enormous sense of gratitude,” said Motley. “I often ask myself ‘Had it not been for the scholarship to Samford?’." The Tom and Marla Corts Distinguished Author Series was launched to highlight reading and literacy and to provide endowment support for Samford’s Orlean Beeson School of Education. Tom Corts was known for his invaluable leadership, service and love for books and classical literature. Nearly eight years ago, his wife Marla Corts assisted in the launch of the author series in his memory. It is the education school’s honor to host a beloved friend and member of the Samford family, Eric Motley, for this special event, said Dean Jeanie Box. Previous speakers include Greg Mortenson, Wendell Berry, Garrison Keillor, Wes Moore, Laura Bush, Parker J. Palmer and Philip Yancey. For many years, general admission tickets have been complimentary to Samford University faculty, staff and students but not for the general public. In honor of the first alumni distinguished author and thanks to the generosity of event sponsors, this year, general admission tickets will be complimentary to all attendees. VIP tickets are $75 and include a private reception with Motley in Brock Recital Hall at 6 p.m. and a copy of his memoir, Madison Park: A Place of Hope.